South Korean passengers watch TV news reporting North Korea's apparent nuclear test, at the Seoul train station. "This was not at all a surprise," says Chinoy. 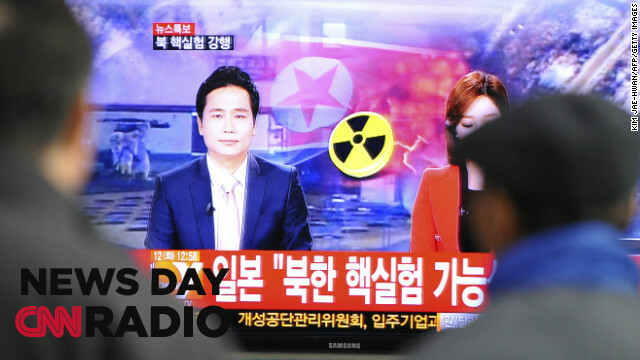 "The North Koreans have been making clear for several weeks now that they were planning to stage a nuclear test. The only real question was when. The timing, I think, is very interesting because this comes just before President Obama is going to deliver his State of the Union message." It's been almost two months, since a gunman shot and killed 20 children and six adults at Sandy Hook Elementary School in Newtown, Connecticut. When tragedies happen the question of religion often comes up. Rabbi Marvin Heir with the Simon Wiesenthal Center in Los Angeles, said he’s not surprised that people question religion, and, God in tragedies. "There's no water. You can't really flush, so everyone's going in little plastic baggies and putting it outside their room."